So all around wild fruiting ginseng cameras were set, and for three years tripped by the occasional raccoon, opossum, mouse, or turkey. 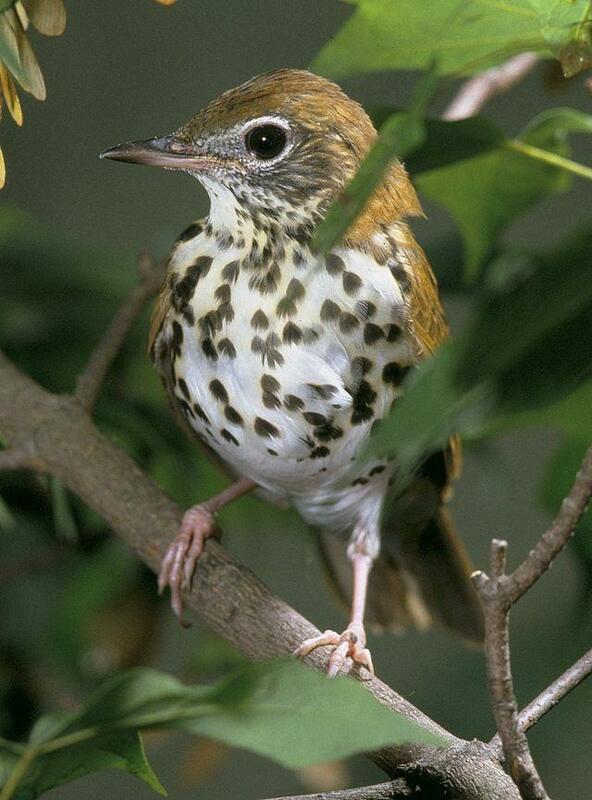 But there was one pretty regular visitor: the Wood Thrush, (a cousin of the Robin, actually, but with superior vocal abilities on account of a double-set of vocal chords). McGraw says after analyzing some 900 photos, they discovered the thrushes were in fact seduced by the bright red ginseng berries. How do seeds survive the thrushes, or do they? McGraw and researcher Amy Hruska found out there were captive thrushes living at the Tennessee Aquarium in Chattanooga, and convinced the good folks there to let them feed ginseng berries to the birds. Video actually shows regurgitation of seed. So the research team found ginseng’s wild seed dispensers! Where and how far do the thrushes wander? Understanding thrush activity is the latest query commanding attention in the larger effort to study a threatened and valuable plant. Wild populations are increasingly rare. We know overharvesting, deer browsing, and loss of habitat are major reasons for declines. 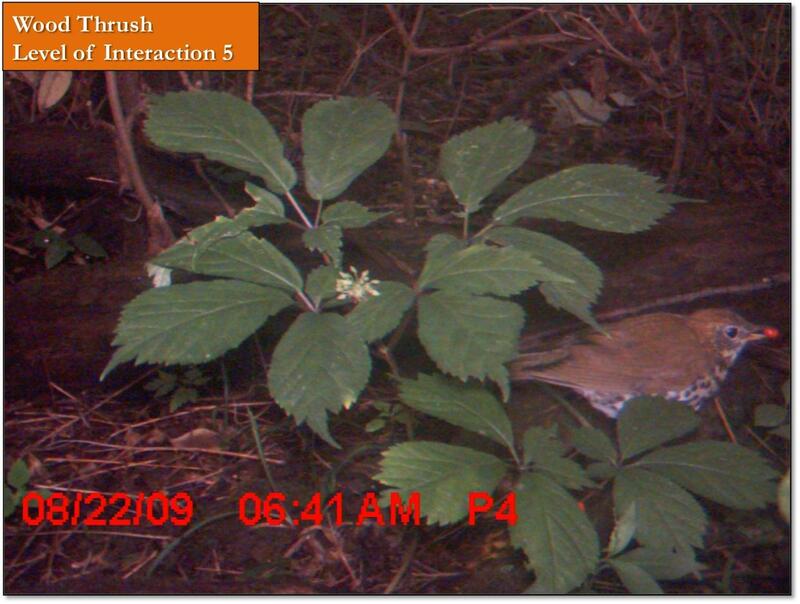 But McGraw thinks this thrush research might shed light on another threat to wild ginseng populations. Losing so many birds is very troubling because ginseng populations may well rely on thrushes not only to help disperse their seeds, but also to help them adapt to a changing climate. Wild ginseng’s range stretches from eastern Canada south through the eastern United States. But genetically, those ginseng populations vary and over ages have adapted to their specific regions. McGaw suspect thrushes will play an important role in helping ginseng survive by helping it migrate from their warming regions into cooler climates. If the birds themselves can survive. Glynis Board reports from the 2014 Ginseng Summit and food tourism continues to grow in Appalachia with a new culinary map that shows where to find the best. Also, our friends at Traveling 219 bring us a story on an old time music workshop in Marlinton, West Virginia.